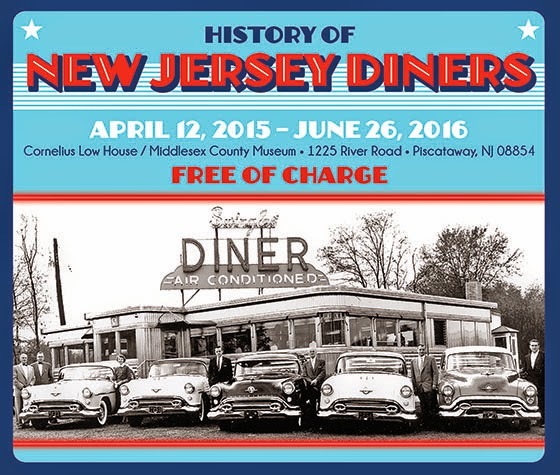 NJ Weekend Historical Happenings: 3/26/16 - 3/27/16 ~ The History Girl! Celebrate Easter at Allaire Village! On Saturday, from 11:00 am - 4:00 pm, join us for an Allaire Village Easter Egg Hunt! There are over 10,000 eggs in the village! Hunts are divided into age groups: 0-2 (with an assisting adult), 3-4, 5-7, 8-10, 11-12, and special needs. A hunt takes place every 15 minutes and hunts are continuous throughout the day from 12:00 noon - 4:00 pm. The Easter Egg Hunt is $5 per person, children under age 3 admitted free! Pre-registration is highly recommended; all members of your party must have tickets, not only the children participating in the hunt. Children under 3 years old are free. Tickets are available below or over the phone at 732-919-3500. Tickets will be reserved under your name and can be picked up upon your arrival. Registration and pre-registration check in takes place in the Visitor Center beginning at 11am. Egg hunt times are assigned upon your arrival. * Bonnet Parade and Contest begins at 3:00 pm in front of the General Store. * Historic Building are open for tour and craft demonstrations from 11:00 am - 4:00 pm. 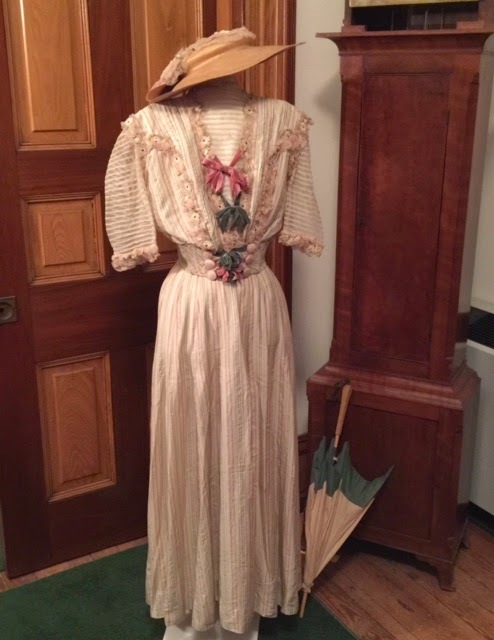 On Saturday at 1:00 pm, visit the Trent House for an illustrated lecture presented by Laura Poll, Archivist of the Trentoniana Collection at the Trenton Free Public Library. 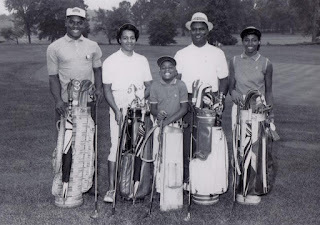 The lecture will take place at the Trent House Museum, 15 Market Street, Trenton, NJ. At his Bordentown estate Point Breeze, king-in-exile Joseph Bonaparte maintained the largest and finest collection of European fine art in America during the 1820s and 1830s, including works by Titian, Canova, and Murillo. His estate was dispersed by auction in 1847, and his paintings by Old Masters made their way to museums and private collections throughout the United States. Six of the paintings in Bonaparte's famed collection were acquired and displayed by the Stokes family, who occupied the Trent House from 1861 until 1929. This illustrated lecture will examine the curious story of the six paintings and their ultimate and final destination-the Trenton Free Public Library. 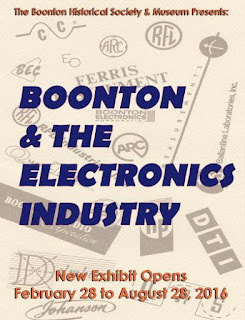 Admission is $10.00 for non-members and $8.00 for members. Complimentary light refreshments will be served. Saturday, April 16: Beverly Mills and Elaine Buck, "Proud Heritage: African American History in the Sourlands and Hopewell Valley"
Saturday, May 14: David Hart, "John Hart: Portrait of a Patriot"
Owned, maintained and operated by the City of Trenton with assistance from The Trent House Association, the historic house museum is regularly open to the public for tours Wednesdays through Sundays, 12:30 - 4:00 pm and by appointment for school and group tours. Located at 15 Market Street in Trenton, adjacent to the Hughes Justice Complex in Trenton, NJ. Ample free parking. For more information, call 609-989-3027 or visit www.williamtrenthouse.org. 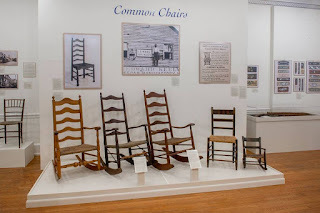 On Saturday, a new exhibit opens at the Schoolhouse Museum, home of the Ridgewood Historical Society entitled, "Farm & Home: Exploring our Agrarian Roots with Artifacts from the 18th and 19th Centuries." 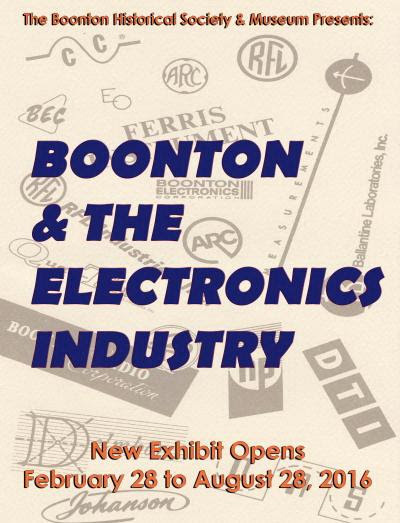 The exhibit examines the lives of the first local European settlers from the dawn of the 18th century until the advent of the area railroad and the beginning of suburbia. 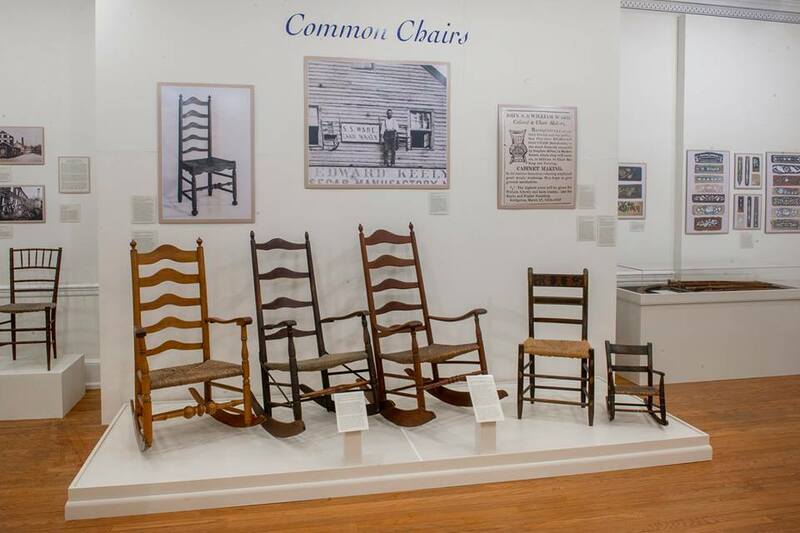 Among the artifacts on display are items brought from Holland by the Dutch settlers, wooden farm tools, home furnishings, kitchenware , and textiles. The museum is open Thursdays and Saturdays from 1:00 - 3:00 pm and Sundays from 2:00 - 4:00 pm. The Schoolhouse Museum is located at 650 E. Glen Avenue, Ridgewood, NJ. For more information, call 201 447-3242 or e-mail ridgewoodhistoricalsociety@verizon.net. 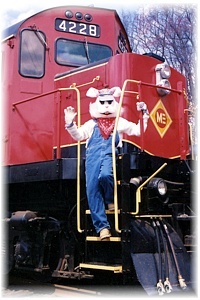 New Jersey's Original Easter Bunny Express celebrates its 24th continuous year of operation in 2015. Celebrate the return of spring and the Easter holidays with a ride on the Whippany Railway Museum's Easter Bunny Express. Our Special Easter Train Ride ensures a fun outing for the kids...and the entire family. Fire Control Tower No. 23 on Sunset Boulevard is New Jersey's last freestanding World War II tower, part of the immense Harbor Defense of the Delaware system known as Fort Miles. After the award-winning restoration, visitors can climb to the 6th floor spotting gallery while reliving the homeland defense efforts during World War II. The ground floor of the tower, the All Veterans Memorial and boardwalk interpretive panels are fully accessible. Open Saturday and Sunday from 11:00 am - 3:00 pm. Admission: $6 for adults, $4 for children (ages 3-12). Sponsored by the Mid-Atlantic Center for the Arts & Humanities (MAC). For more information, call 609-884-5404 or 800-275-4278 or visit www.capemaymac.org. Please join Morristown National Historical Park for a series of special piano recitals to celebrate the NPS Centennial. Playing on the park's 1873 Steinway grand piano, celebrated pianist Peter Toth will perform solo piano works from a variety of beloved composers. The recital will be held at the Museum Building, 30 Washington Place, Morristown, NJ. It begins at 1:00 pm and will be held FREE of charge. No reservations necessary. For more information, call 973-539-2016 x 204 or visit www.nps.gov/morr. On Sunday at 6:30 am, Allaire Village, Inc. will be co-sponsoring an Easter Sunrise Service at the Allaire Chapel. The service will be held in the Historic Village Chapel. Admission is free (donations gladly accepted). The service will be co-sponsored by Rev. Steven Kengeter of the Pierce Memorial Presbyterian Church. This service is presented free of charge by Allaire Village Incorporated and the Churches of the Farmingdale-Howell Council of Churches. All are welcome to attend the service.